So the big question who do you hang out with? Fire lighters who keep your candle burning, or fire fighters, who rain on your parade? Over the course of time your inner circle will influence who and what you become. I have always been very intentional about my inner circle, I still need mentors and role models to teach and inspire me so that I may reach my potential. People do what people see So do CATS! The Big Picture of practicing what you preach. 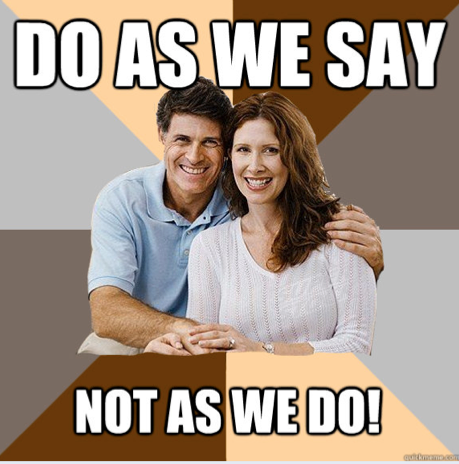 Remember when your mum and dad told you this “Do as I say,” and then you said “but Mum Dad, you do not do it!” Ok! so how many of you today are Mums and Dads? Have you caught yourself saying “Do as I say”, even when you do not practice what you preach? A great leader and role model always practices what they preach. To get more from relationships live your values and add value to others each day and see how your life unfolds in a beautiful way. The Big Picture of who influences you? Be careful where and who you learn from, many times when I am teaching senior stylists I see challenges with their technical skills, often for these stylist the journey to develop new skills is much harder. They have to unlearn and break bad habits before they can learn new habits. Hence it is easier to teach a new stylist with no bad habits. I remind you again learn from the best and keep your mind open to learn more each and every day. 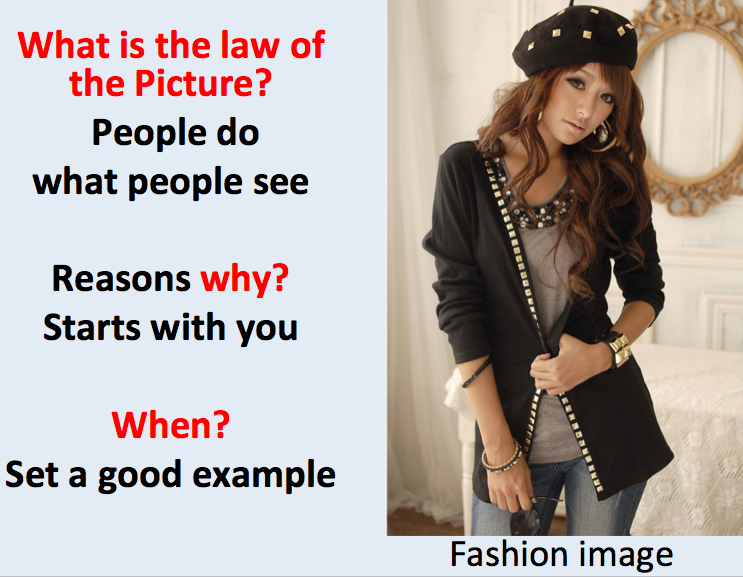 We see and hear in images, hence how we dress will impact who we attract or push away. Experiment with your style be professional and fashionable. Remember your image is part of your brand and the law of attraction. Dress like who you want to attract. Hello Salon owners, Heads of department, solo Stylist/Colorist and Barbers,, you are a leader of your team and clientele all of whom are looking for inspiration and guidance. Followers may doubt what a leader says but they usually believe what they see. A leader placed on a pedal stool is blind love. A leader who is being pulled off the pedal stool is not respected. As a leader do you command or convince? We command with our words we convince with out action. A great leader Lives the law of the Big picture. PEOPLE EMULATE what they see, be around a positive culture and high standards. Live what you teach if you cant back it up don’t teach it. Stay in your gift zone, and work on your inner circle to fill the gaps that could be your weaknesses. Raise our level of awareness, do you hang out with firefighters or firelighters? Followers are always watching a leader. (Especially your clients) Remember we cant choose when our followers are watching us. Apply these principles today, and please share this series and add value to others today. Vivienne Mackinder. 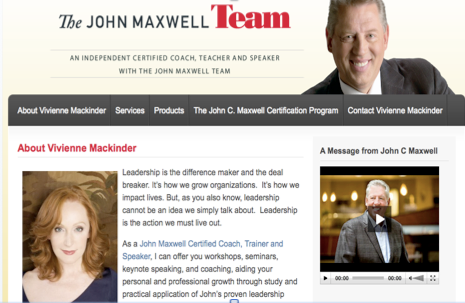 Certified Coach for John Maxwell.